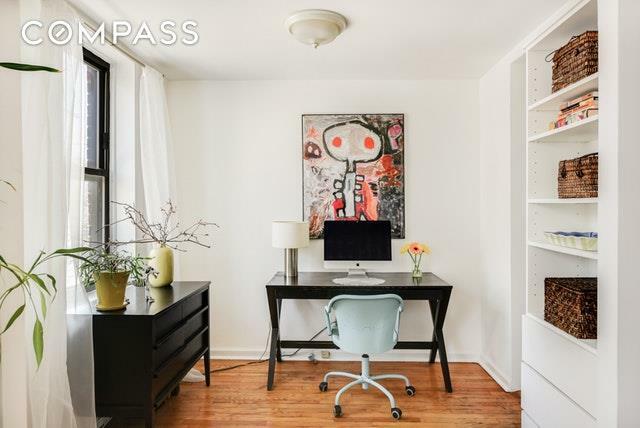 Incredible opportunity awaits at this expansive corner 2.5BR/1BA home in one of Bay Ridge's most coveted and immaculately maintained cooperative buildings located just a half block from Shore Road. This sunny second-floor apartment is accented by a generous and gracious layout, featuring a large foyer that can easily be utilized as a full-sized dining area or office; spacious living room; flexible space just off the living room and kitchen; two large bedrooms (including a king-sized master); and windowed bathroom. Its eight large windows have southern and eastern exposures and, now that Spring is here, cherry blossom views. 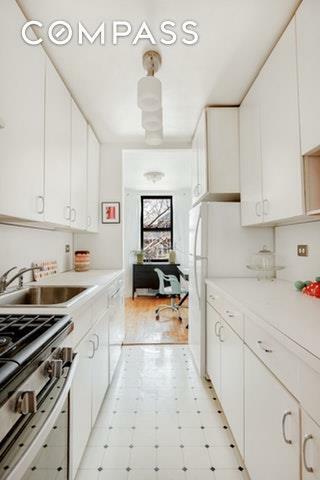 Freshly painted with hardwood floors throughout and abundant storage space. 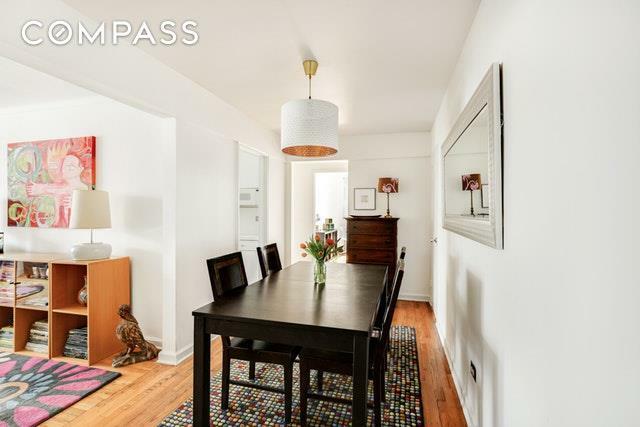 Amenities at this pet-friendly (with restrictions) coop include a live-in super; newly renovated entry lobby; new elevators; two laundry rooms; storage and a bike room; a common outdoor sitting area/courtyard; and on-site parking (wait listed). Situated just down the block from Shore Road parks and greenspaces as well as a waterfront promenade and bike path. 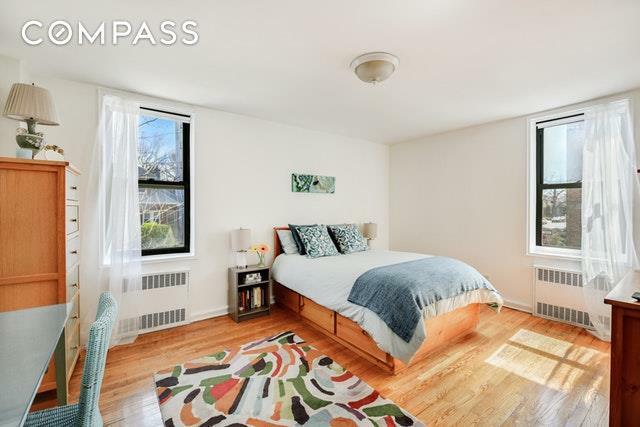 Nearby to easy transportation access including Belt Parkway, BQE, subway, and express bus as well as Bay Ridges noted shopping and restaurants. Listing courtesy of Clare Saliba of Compass.